Over the last ten years, we've made a lot of great color choices when it comes to paint, but we've also made a lot of terrible ones. There was a lot of trial and error involved before we figured out how to choose a good paint color. 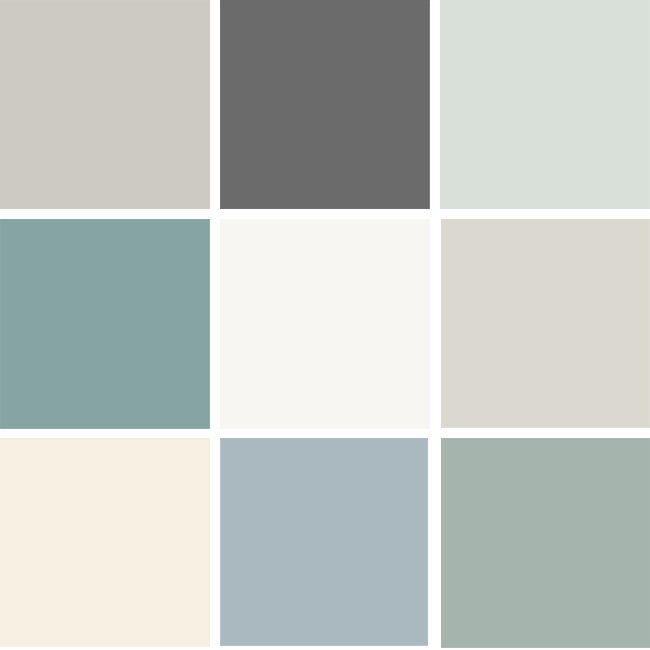 When we bought our first house, we couldn't agree on paint colors, so we decided that I could choose the living room color and Kev could choose the family room color. We ended up with cranberry red and lime green. Like, glowing-nearly-fluorescent lime. I think we painted and repainted nearly every room in our first house. 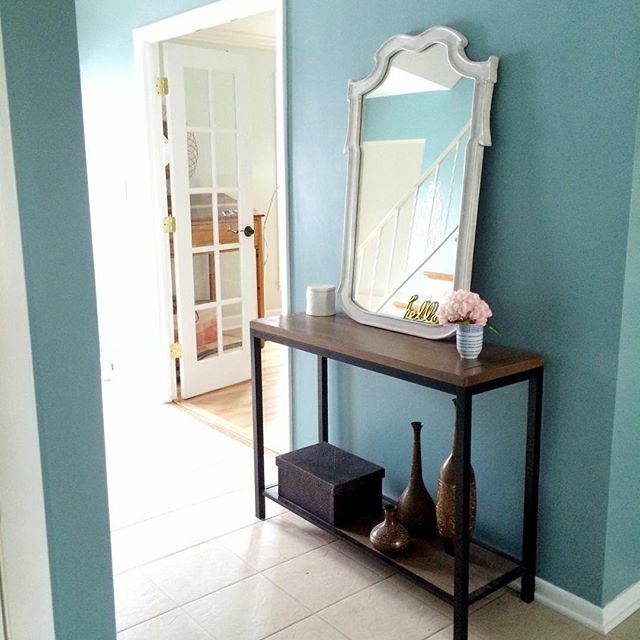 And even when you buy paint testers, although it helps, there's really nothing that can show you how a color is going to change the look and feel of a space until you get most of the space painted. So to hopefully save you a little bit of our pain and frustration, here are a few tried and true colors that we feel like, YES, we got it really right. This color is such a great neutral. It goes with just about everything, and it contrasts well with bright white trim. 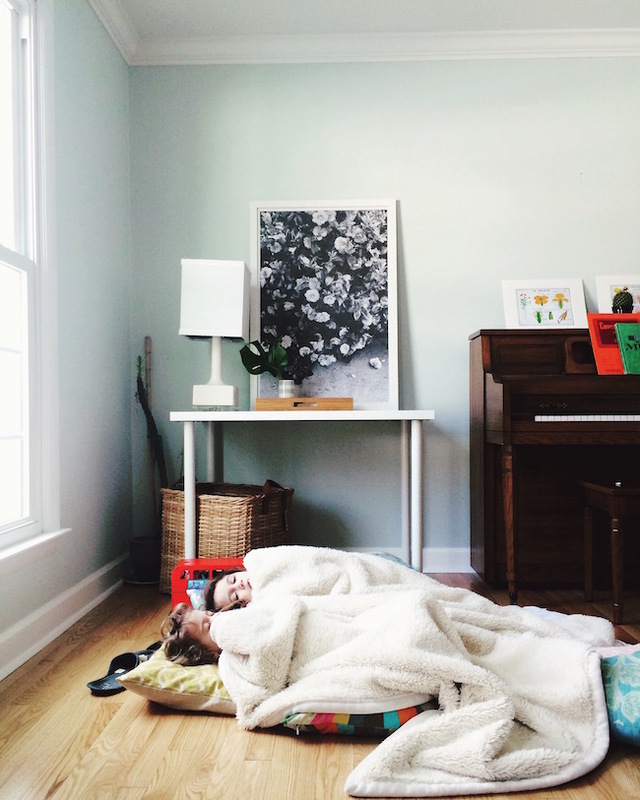 Even though it's a nice light gray, I prefer it in spaces that get a lot of natural light. In darker spaces, I go a shade lighter with Behr Silver Drop, which you can see a little further down in the post. 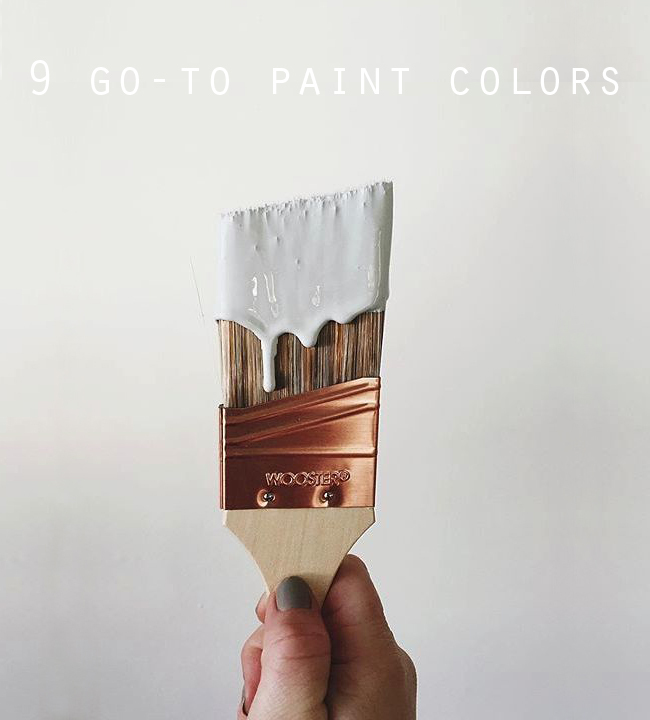 I think Behr may have taken this color out of their collection of paint chips, but they can still mix it for you. 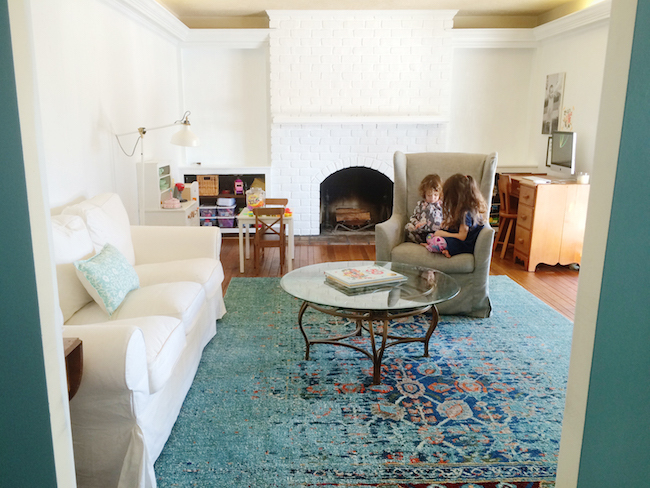 You can see more of our former family room here. This color was actually a happy accident. I meant to get a more medium gray and somehow asked for this one by mistake. I didn't realize it until I started painting it on the wall, but I ended up absolutely loving it. It looks amazing in a space that has a lot of white to balance it out. It also looks great with wood tones, greenery, and pastels. 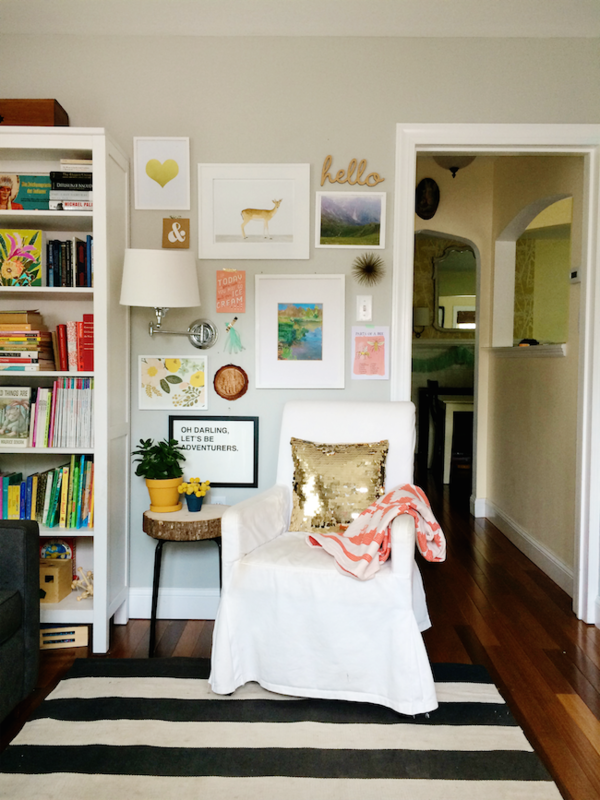 For this space we wanted a light neutral, but I didn't want to go with a traditional gray. We found this light blue-green-gray. I love that the color changes depending on the light and that it's still really neutral. It looks great with white and warm wood tones. This is probably the most colorful that we've gone in a long time, but I love this color. It's rich without being too heavy and dark. It's colorful without being too saturated. It's just a really lovely, balanced color. We use this color for all of our trim, but I love it on the walls as well. It's bright without being to cold. It looks great with pretty much everything. You can see more photos of our new house here. A slightly lighter version of Behr Dolphin Fin, which I mentioned earlier, this is a the perfect light gray. It looks great with everything, but especially coppers and warm wood tones. 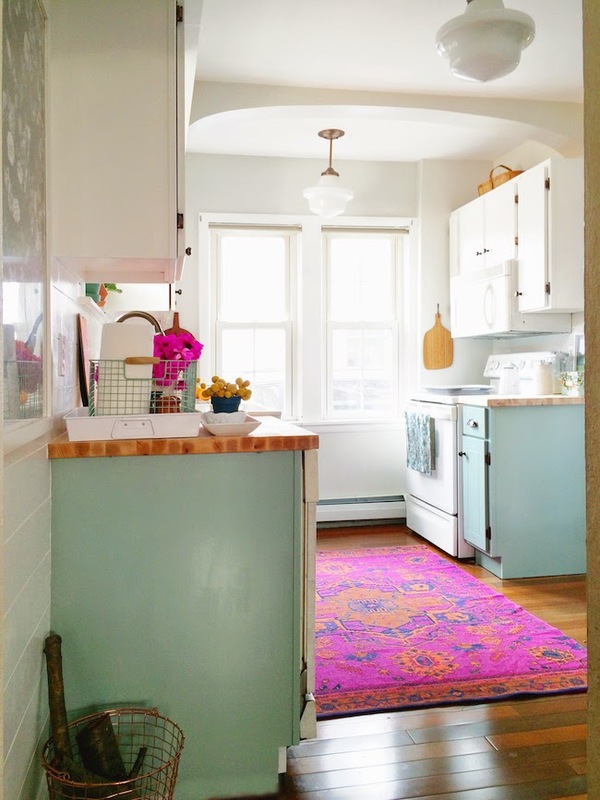 You can see more photos of our kitchen reno here. If you're looking for a great off-white/cream color, this is it. Light and airy, and a great neutral that pairs well with most anything. 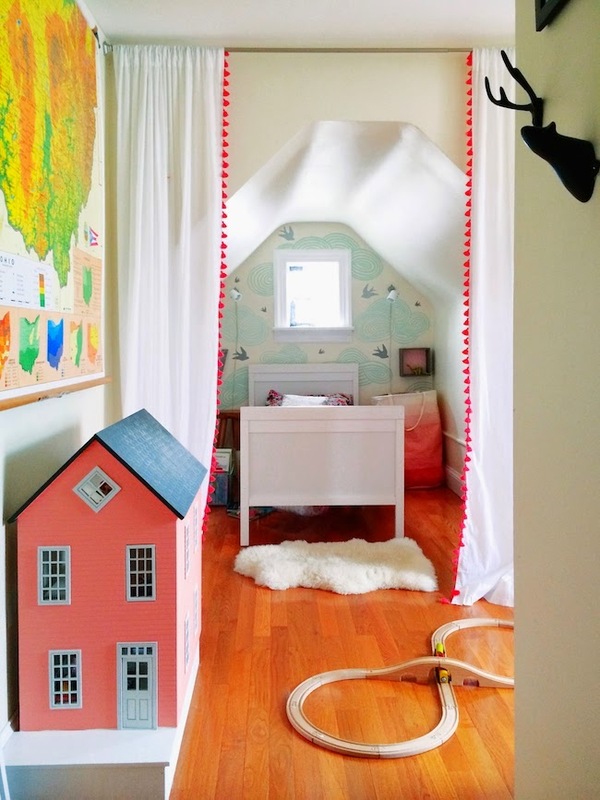 You can see more photos of Violet's room here. 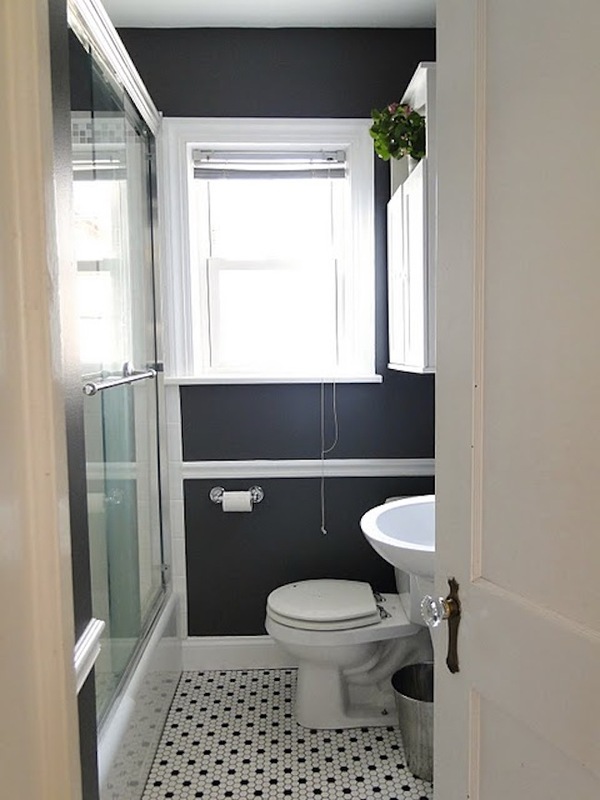 I was worried that this color might be too dark for this small space, so we added the beadboard to help balance things out. It ended up being such a cozy space. I love this color paired with whites, warm linens, and warm colors - yellow-golds, oranges, and reds. 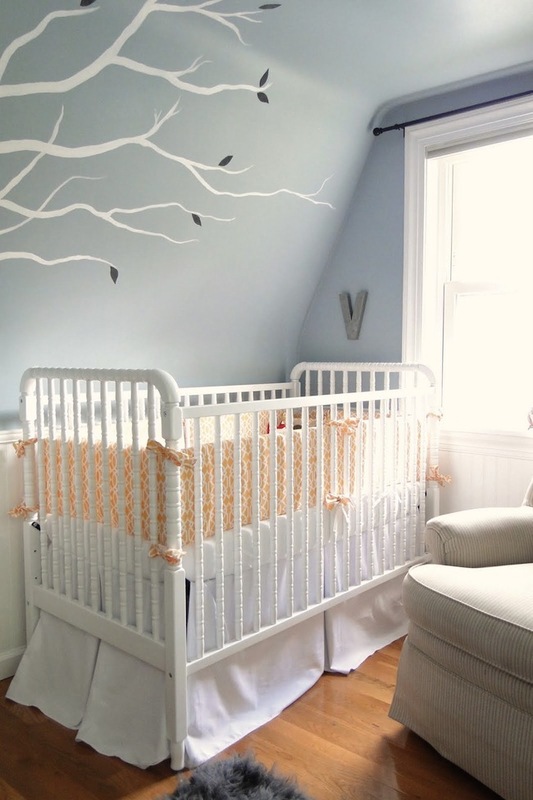 You can see photos of Violet's nursery here. This color was the winner after we tested many, many colors for our lower cabinets. It would also look great on a piece of furniture like a bookcase, or even as a wall color. I love this color with jewel tones, whites, and warm wood tones. You can see more photos of our first house here, and our new house here. 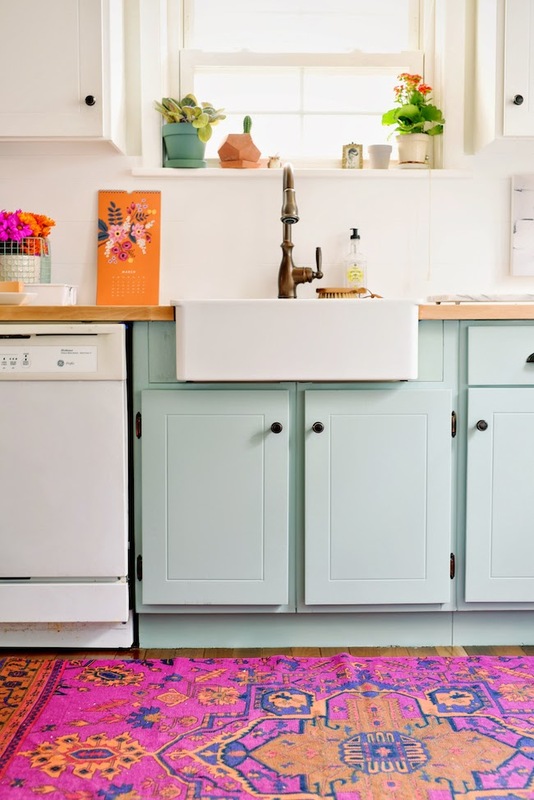 I love the color on the lower cabinets!